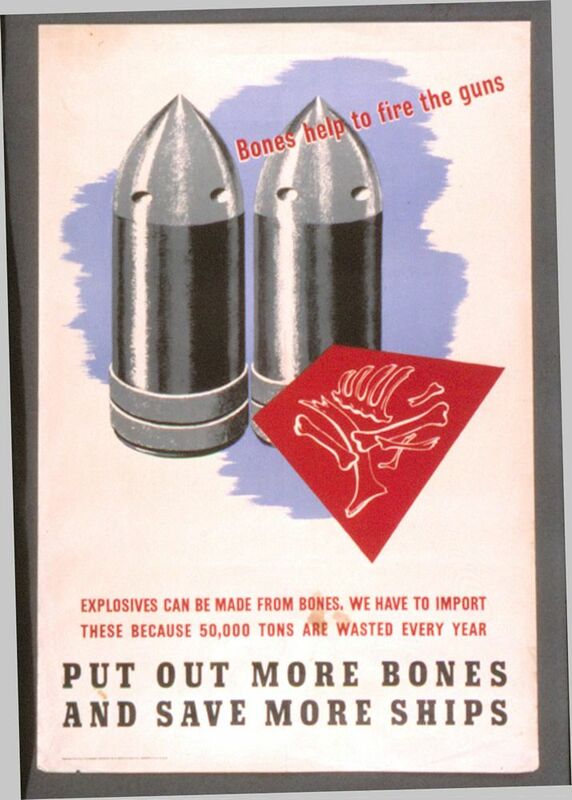 Printed colour illustrated poster calling for more bones to use as explosives to save on imports during the Second World War. This Bones Help to Fire the Guns Art Print is created using state of the art, industry leading Digital printers. The result - a stunning reproduction at an affordable price.